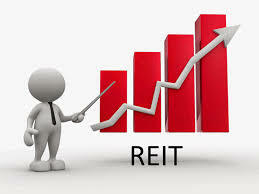 SINGAPORE (June 22): RHB is maintaining its “neutral” stance on the office sub-sector of Singapore REITs as it expects spot rents to fall further. According to Knight Frank, premium Grade A+ office rents (Marina Bay/Raffles area) fell 3.6% q-o-q during 2Q16 to $9.88 psf from $10.25 psf in the previous quarter. The latest drop also marks the fifth consecutive q-o-q drop since the recent peak in 1Q15 at $11.49 psf. The fall in office rents in the Marina Bay/Raffles area doesn't come as a surprise as the office sector has been grappling with supply glut issue since early 2015, says analyst Vijay Natarajan of RHB in a Wednesday note. “We expect the supply-demand dynamics to remain unfavourable in the near-term as an average about 2 million sf of office space is expected to be completed in the next three years compared to 10-year average demand of 1.2 million sf,” says Natarajan. However, the office REITs sector currently trades at a high FY16 dividend yield of 6-7%, which would provide support to its share price. Still, Natarajan likes the resilient local retail sub-sector as rental positive reversions are likely to persist. It also likes the hospitality sub-sector as there is an increasing number of new events in 2016. “Our top picks are Ascendas REIT (Buy, Target price: $2.63),CapitaLand Mall Trust (Buy, Target price: $2.36), Frasers Centrepoint Trust (Buy, Target price: $2.22) and OUE Hospitality Trusts (Buy, Target price: $0.86),” says Natarajan.